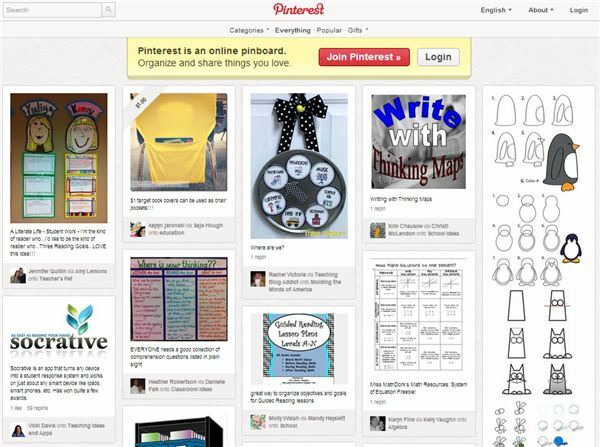 Pinterest: A Teacher’s New Best Friend? Sure, Pinterest is a great place for finding new recipes and home decorating ideas, but can it also be used as an educational resource? You bet! If you are an avid Pinterest fan, then you know how easy it is to lose hours of time browsing recipes, crafts, organization tips and amazing pictures found at the site. At least, that’s how it is for me. But, lately I’ve found that Pinterest is also a great tool to use for organizing online resources that I want to keep track of – especially when I come across things that I know will be helpful for some later project, but I don’t necessarily need right now. 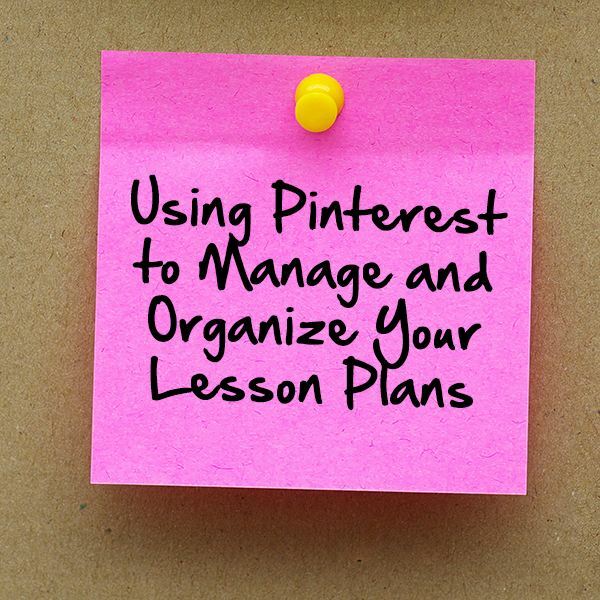 For instance, there are tons of educators on Pinterest who share links to lesson plans, classroom activities and ideas, and general educational materials. Since you can create new boards, move pins from one board to another, and even change the cover picture of a board, Pinterest is a terrific tool for managing these types of teaching resources. If you come across a neat lesson plan that you think would go well with a subject you plan on covering six months from now, you don’t have to worry about trying to find it again later. Just create a new board on that topic and pin the lesson to that board. If you don’t have one yet, it's easy to create a Pinterest account. Just click on the Join Pinterest button and you’ll be prompted to connect with Facebook or Twitter, or to create a new account using your email address. 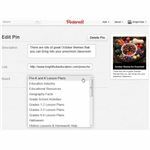 Even if you already have an account, you may want to consider creating a new one just for your teaching-related pins. That decision is completely up to you and depends on how much you want to try to separate your personal and professional pins. On one hand, it’s easier to maintain a single account – and if you pick this option, you won’t have to worry about pinning something to the wrong profile. On the flip side, it may help you stay more organized if you use two distinct accounts. 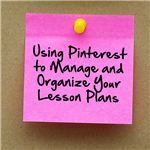 When you first start out, one of the first things you’ll probably want to do is look for other Pinterest users who regularly pin the types of teaching resources that interest you. 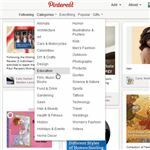 Pinterest’s internal search engine isn’t that great, but the site does have an Education category that you can browse – and this can be a great tool to use when searching for new pins or pinners. Once you’ve found a few new people to follow, check out their main profile pages and see who their followers are – and who they are following. More than likely, you’ll be able to quickly spot other educators on these lists. Don't forget to check out Bright Hub Education's Pinterest page. We’d love to connect with you there. 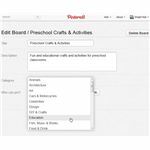 There are a lot of different strategies that you can use when creating new boards to manage your pins. Some educators like to organize their pins by grade level and others prefer to use a different board for each subject. Bright Hub Education uses a combination of both methods, and has also set up some more general boards for specific topics such as Special Education, the Education Industry and Homeschooling. Also, you may want to create an extremely general board with a broad name, such as Education. Use this board like a catch-all kitchen drawer. That is, whenever you’re not sure how you want to categorize a pin, you can add it to this general board and move the pin later. Note: To move a pin to a different board, hover over the image and click the Edit Pin button. Then, just choose a new board from the drop-down list, as shown in the screenshot to the right. Whichever method you decide to use, be sure to take a few extra moments and assign a category to each board. 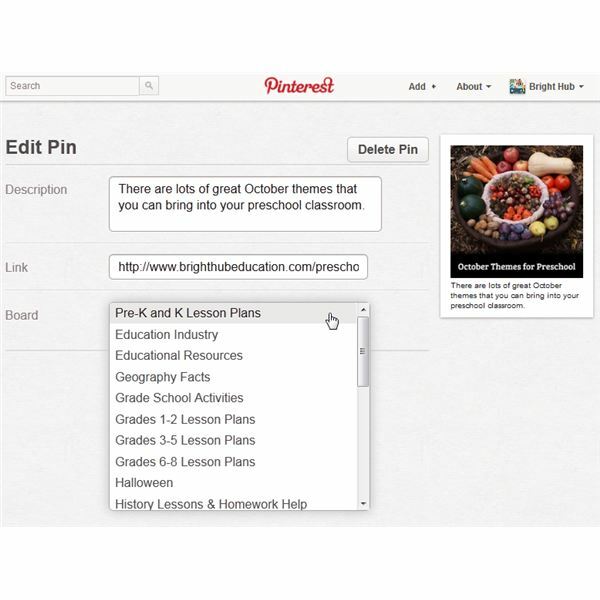 This will make it easier for other teachers to find your pins – and make it more likely that your new pins will show up on the Education category page when you add them. If you didn’t assign a category to a board when you first created it, you can add one at any time. Just click on the Edit Board button and pick a category from the drop-down box. Suppose you used someone else’s online instructions to make something and you took a photo of the final creation. Or, if you have your own teaching blog, suppose you shared a lesson plan on that blog a few months ago but you didn’t have a good picture to go with that blog post at the time. You can always add photos from your hard drive to Pinterest, but what’s the best way to link those photos to related online sources? One option is to include the URL to that online source in the text description of your pin, but that can be a little unwieldy. Alternatively, you can upload the photo and then edit the pin to include the link of that related web site. To do this, all you have to do is hover over the pin with your cursor, click the Edit Pin button and paste the URL into the Link field. Unfortunately, many spammers abuse this functionality to pin really cool photos and then modify the links to go to completely unrelated sites that have nothing to do with the pin. If you ever come across pins like these, be sure to flag them by using the Report Pin feature. Also, don’t be tempted to try this ruse for yourself to build up traffic for your blog or web site. Not only is it disingenuous, it’s also downright annoying – and you’re more likely to lose followers than gain them with tricks like this. Always be sure that your pin relates to the site it’s being linked to. If there’s a chance that people might misconstrue your intentions, explain in the text description what the pin links to and why. 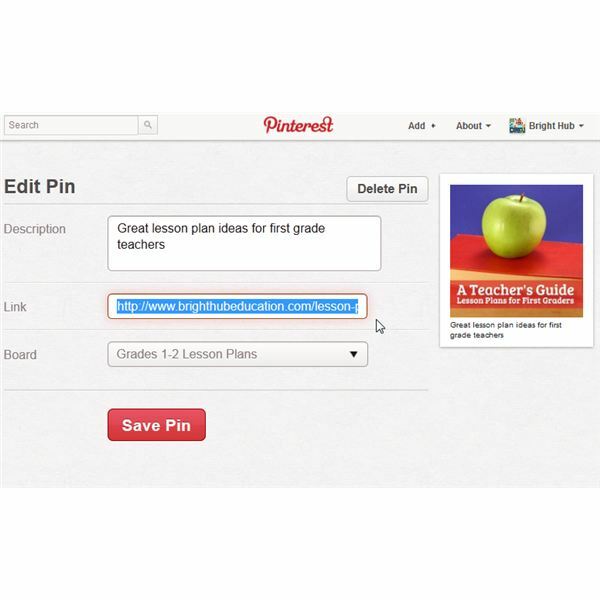 If you do have a teaching blog or web site, you may be interested in finding out who is pinning items from that site so that you can connect with them on Pinterest. This is fairly easy to determine; all you have to do is type the following in your web browser’s navigation bar: pinterest.com/source/yourdomain. 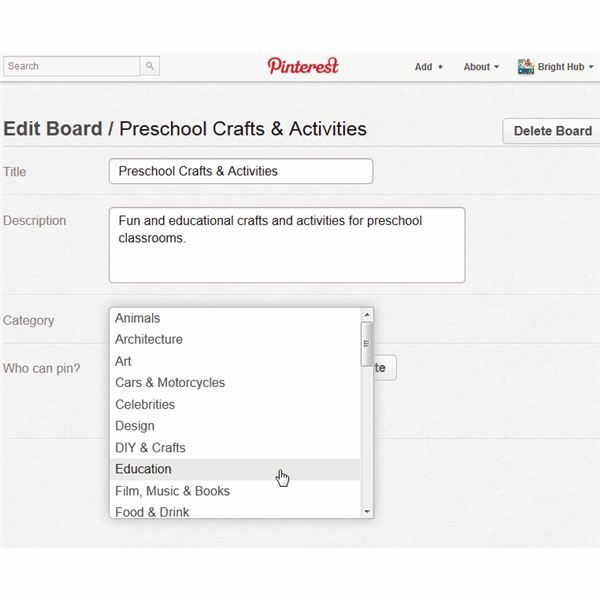 For example, if you wanted to see who was pinning items directly from Bright Hub Education, you would type pinterest.com/source/brighthubeducation.com. This is a great way to find new people to follow, and it will also give you a good idea about which of your blog posts are more popular with Pinterest users. Now, this page only shows you items that have been recently pinned from your site, so you may want to bookmark the link and check it on a regular basis. Want even more ideas? Check out this article for ten pinning tips for teachers. If you’re using Pinterest for educational purposes – whether you’re a student, teacher or researcher – we’d love to hear about your experience. Do you have any tips or strategies to share? 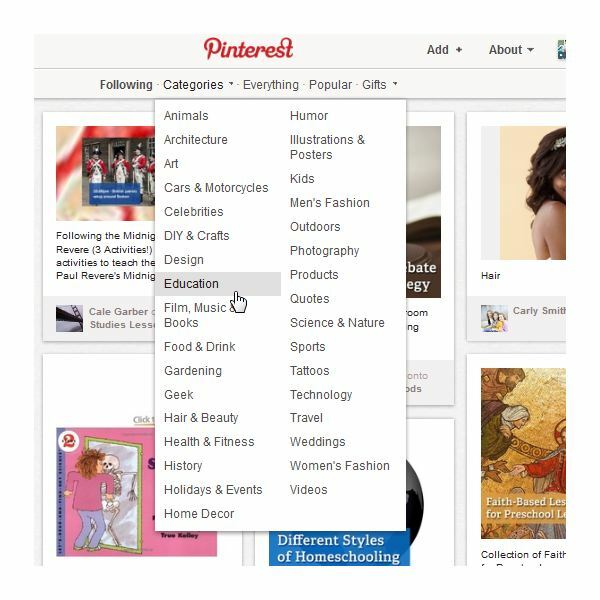 Is Pinterest a better place for educator's to spend their time than other social media sites?